The Jersey Conference Bureau will close at the end of March, with three jobs lost, as Visit Jersey assumes responsibility for promoting the Channel Island as a conference and incentive destination. 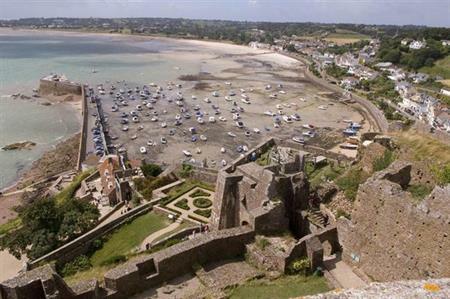 The closure of the conference bureau follows the recommendations of the Tourism Shadow Board, after Visit Jersey was established to oversee the development and coordination of the island’s tourism. Primary sponsor of the Conference Bureau, the Economic Development Ministry, will now provide full funding of Visit Jersey. Peter Funk, chairman of the Conference Bureau, said: "It is of paramount importance that we ensure the future stability of the conference sector, particularly for those who have invested in both product development and marketing over many years. Although the conference business has been challenged by stiff competition from other destinations in recent years, we are optimistic that Jersey can continue to compete successfully in this market. "The Conference Bureau will ensure an orderly handover of conference business to Visit Jersey. Future and pending conference business will be protected and conference enquiries passed to Visit Jersey. Unfortunately the consolidation will result in three Conference Bureau staff members losing their jobs." The Conference Bureau's general manager post, held by Hamish Reid, will be among the three positions to go. Reid said: "I will be looking for future opportunities in the industry and I wish Visit Jersey the best of fortune." The Conference Bureau will hold its AGM on 26 February, when members will discuss the future of Jersey’s conference industry and be informed of the plans for a successful closure. Analysis: Do destinations need UK representation?